t’s no secret that New York City gets into the holiday spirit with evergreens large and small, ornaments aplenty and lots and lots of string lights that are sure to put you into a frenzy of yuletide excitement. 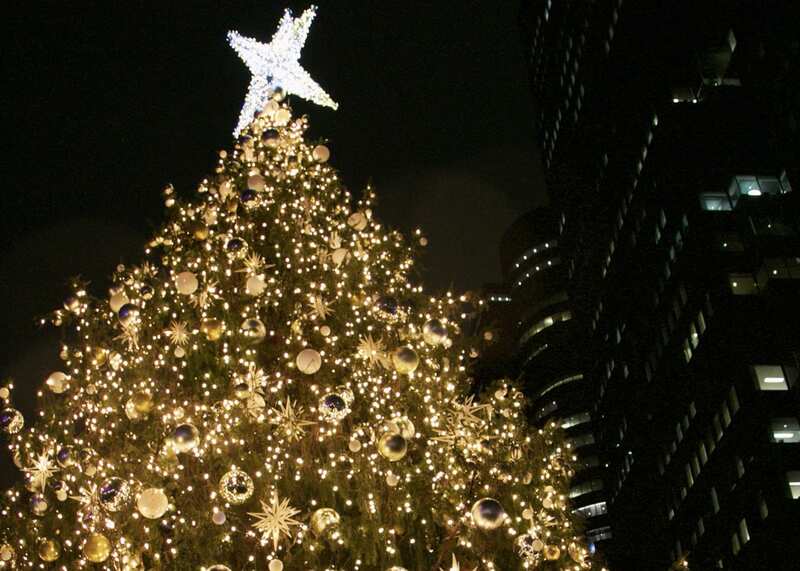 From the famously massive spruce at Rockefeller Center to the magical only-in-New-York Origami Holiday Tree at the American Museum of Natural History, here are seven of our favorite dazzlingly decorated boughs that light up the Big Apple. Of course, the year-round tree experts know what to do when it comes to the holiday season! 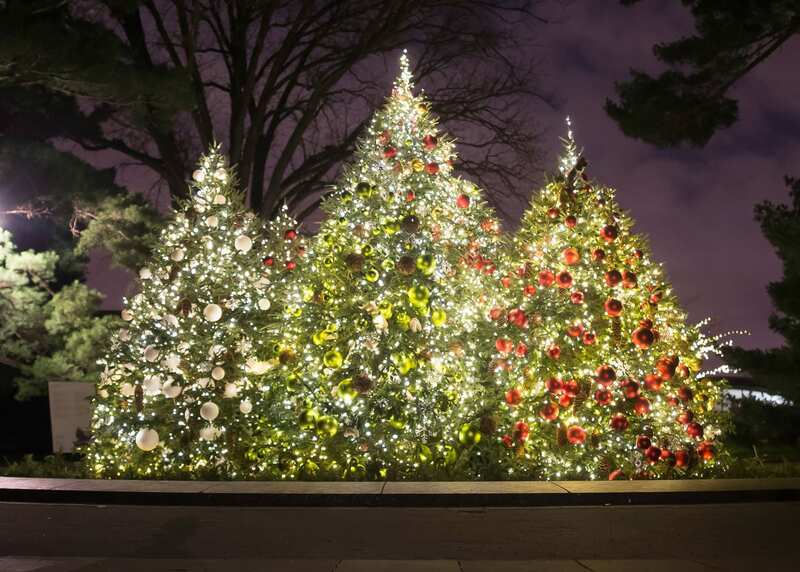 While the annual Holiday Train Show featuring two dozen G-scale trains chugging through 150 mini-landmarks, painstakingly crafted from bark, leaves and other natural material is a popular tourist attraction, the holiday trees at the Reflecting Pools are breathtaking and a sight you can see during a brisk 45-minute walk. 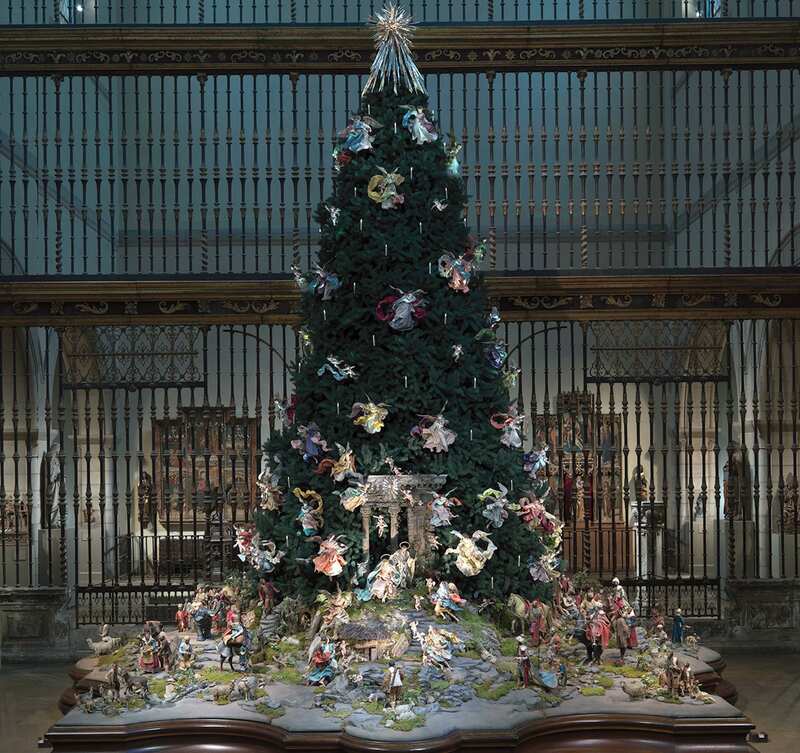 A longstanding holiday tradition adored by New Yorkers and visitors from around the world, the 20-foot Blue Spruce at the Metropolitan Museum of Art is adorned with 18th-century Neapolitan silk-robed angels, cherubs and realistic crèche figures hovering among its branches. The base of the tree is landscaped with 69 figures that represent the three elements of traditional Nativity scenes—adoring shepherds and their flocks, the procession of the three Magi and colorful peasants and townspeople—and fifty charming animals and background pieces. 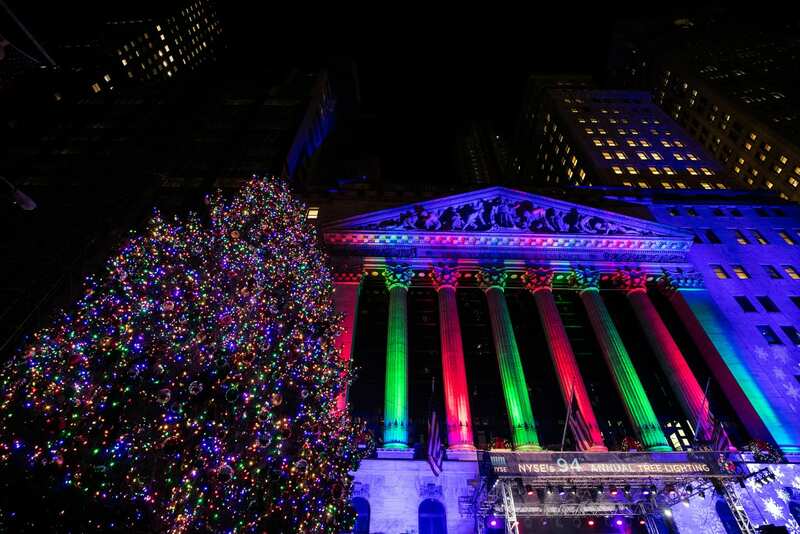 Wall Street trades up on yuletide tradition by bringing a bit of nature decked out with baubles to the heart of the business district. Adorned with 1,000 strands of multi-colored lights, 500 ornaments, and a 6-foot glistening star, this beautiful tree was generously donated by a couple from South Foxboro, Massachusetts, and has been illuminating since 1923. Fun Fact? We performed at this year’s 95th annual tree lighting ceremony! When it comes to trees in NYC, there’s really no contest. 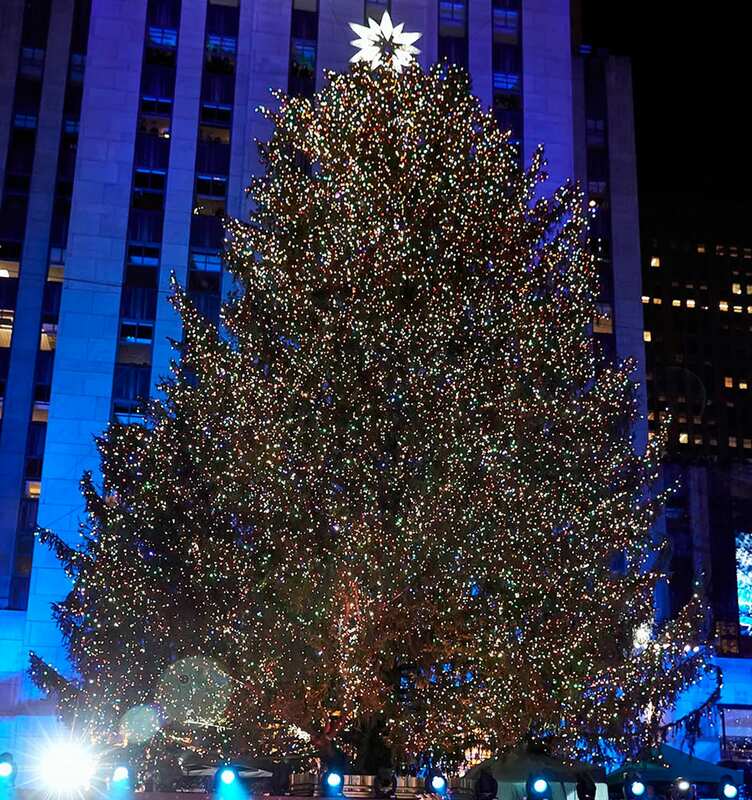 Standing tall since 1931, each year the Rockefeller Center Christmas Tree stuns and improves upon itself. This year, the 72-foot tall Norway Spruce from Wallkill, NY is roughly 75 years old and weighs an estimated 12 tons! 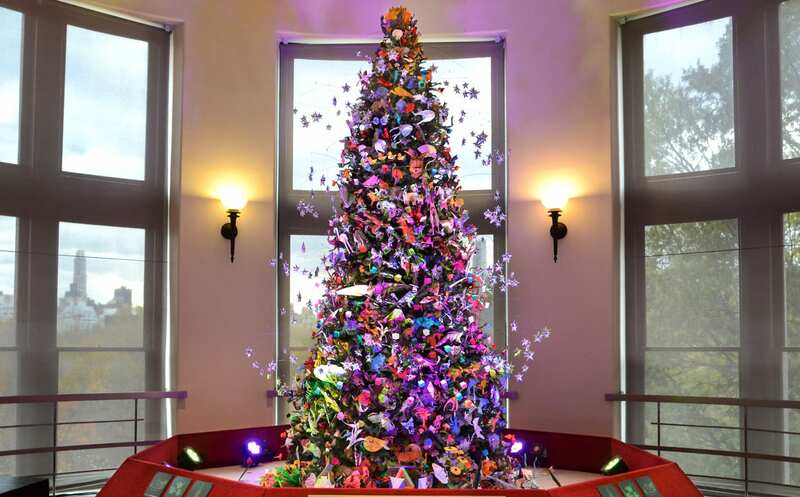 It’s adorned with 50,000 multi-colored LED twinkling lights on five miles of wire and topped with a Swarovski star with 25,000 crystals and one million facets. What a beauty! Each season the South Street Seaport puts up their own stunning bit of holiday décor, lighting their own Norway Spruce right in Seaport Square. The tree is stunning and is lit for viewers to see through the New Year. 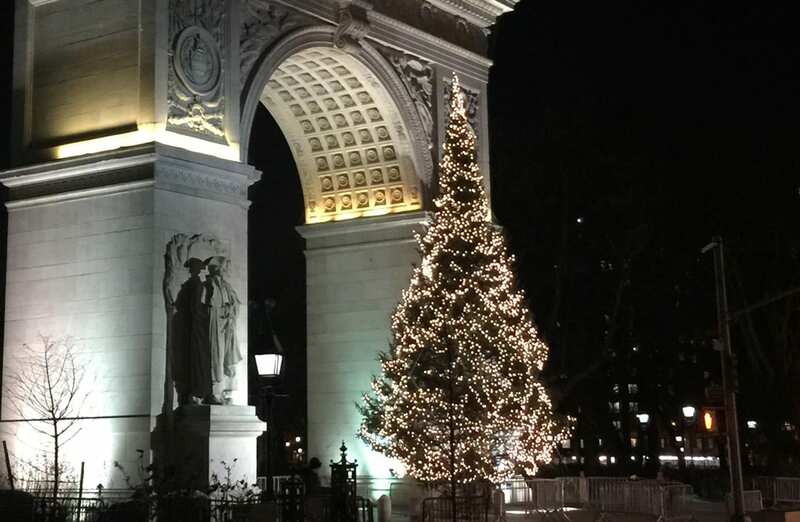 One of New York City’s oldest traditions, the Washington Square Park arch has been the backdrop for stunning seasonal festivities and their own Christmas tree since 1924 (which means it bests the first Rockefeller Center Tree by seven years!). But tradition isn’t the only thing to appreciate about this Tannenbaum—the park is a great place to enjoy a cup of hot cocoa, sing yuletide carols and take a festive stroll through downtown’s historic park. Celebrate the season at the 2018 Christmas Spectacular at Radio City Music Hall, running now through January 1.